Ordering wine in a restaurant can be a daunting and confusing task. Often times the information at your disposal is incomplete, incorrect or misleading. 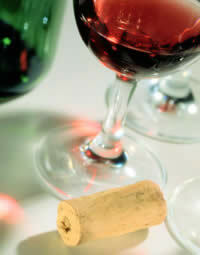 To compound the problem, few restaurants have wait staff that know enough about the wines in question to be of any help. So what’s a wine-loving diner supposed to do? Approach the selection process with a few of these tips in mind, that’s what. First, don’t be fooled into believing that the most expensive bottle on the list is going to be the best. This is almost always a fallacy. It’s generally accepted that restaurants charge “twice retail” for their bottled wines. This means that you should be prepared to spend approximately $30 for that bottle of $15 Cabernet that you love so much. Now, while no one will feel too bad about a $15 markup, it’s another story entirely as you move up the price scale. Using the “twice retail” format, the more expensive the bottle, the larger the markup, and yet, the same labor, etc. goes into opening the expensive bottle as for the less expensive bottle. See where I’m going with this? In recent years, some enlightened restaurateurs have begun using a fixed markup for wine regardless of the cost. This is a much fairer approach to wine costing, but it is not a prevalent trend. Restaurateurs claim to make their money off what we diners drink (and they do), which seems to be enough justification for what can seem like excessive over-charging. Remember, I said the general practice is “twice retail.” There are many restaurants that charge much more than “twice retail.” In those cases I choose to drink water and I usually don’t make a return visit. Second, don’t be intimidated. Ask questions. One of my many pet peeves is the generally pathetic approach most restaurants take to wine lists. An acceptable wine list should clearly indicate the vintage, the name, possibly the grape variety and the price. Most lists I’ve encountered are woefully inadequate. When I’m presented with a list that has any of the above missing, I ask questions. My favorite question is about vintage, which is the most frequent piece of missing, or incorrect data. If I find a wine that I think I want to order, but the vintage is missing, I will always inquire, regardless of the “tsks” of annoyance from the wait staff. Sometimes what may look like a bargain turns out to be a distributor’s close out because the wine is from an undesirable vintage. Third, stick with what you know. There are a few important pieces to this advice. One, if you recognize a few of the wines on the list and can remember what you paid for them at the wine shop, then you can get a pretty good sense of how reasonable the overall wine pricing is. Two, choosing a wine that you have prior experience with, especially one you like, will significantly decrease the probability of a bad wine experience. This may sound a bit conservative, since most of us go out to try new things and splurge a little, but with what wine costs today, experimentation can be expensive and disappointing. Fourth, call ahead before you bring your own bottle. Most restaurants will allow you to bring in your own wine, so long as you follow a few respectful practices. One, make sure you call ahead to check policy and get pre-arrival approval. Two, be prepared to pay a corkage fee, usually between $10 and $20 per bottle. Three, be prepared for some static if the bottle you bring in is either already on the restaurant wine list, or readily available at the corner wine shop. Most restaurants won’t begrudge a diner the opportunity of creating that memorable moment with a rare bottle of ’82 Cos d’Estournel, but all will balk at the ’01 Woodbridge Cabernet. Calling ahead may also give the restaurant an opportunity to discuss their own selections in more detail, giving you an idea of what’s available and at what price. Fifth, when ordering by the glass, do the math. Before ordering that Australian Chardonnay by the glass, check out what a full bottle costs. If a standard glass of wine is taken at six ounces, then you can get four glasses of wine from a standard 750ml wine bottle. This being the case, make sure that the price of the individual glass is reasonably priced. It’s not unreasonable for a restaurant to charge a slight premium for wines by the glass, so long as they’re dispensed from traditional wine bottles. If the full bottle costs $30, then you can expect that a restaurant could charge between $8 and $10 per glass of wine. Make sure you factor this into your decision. It may be more economical to order the full bottle. Sixth, if it looks to good to be true, then it probably isn’t. My second biggest pet peeve with restaurant wine lists is the “wine that’s always out of stock.” Many, many years ago, a friend and I used to frequent a small restaurant in the North End. On the after dinner drink list was an entry for Remy Martin Louis XIII Cognac for $25 per glass (the going price at any other restaurant ranged between $70 and $120 per glass). In four years, oddly enough, the cognac was never available. Gee, I wonder why? This kind of thing drives me nuts. Most recently, I had a similar experience at a Wine Spectator Grand Award winning restaurant in West Virginia. Seemingly, every bottle of wine I originally ordered was not available, and oddly enough, the sommelier’s suggested replacements were comparable in style, but significantly more expensive. This is detestable behavior. I foiled the sommelier by going back to the list and making my own re-selections. The sommelier may have been annoyed, but I figured it was payment in kind for the apparent scheme that was underway. Seventh, not every restaurateur or sommelier is dishonest. While the previous paragraph paints a less than rosy picture of restaurateurs and sommeliers in general, consider them the exception. Many restaurants actually have a pretty good understanding of how to take care of the customer properly. For every bad experience I’ve encountered, I’ve had an equally positive experience, so one shouldn’t approach every wine list with suspicion. The best approach is to be educated, alert, and realistic.